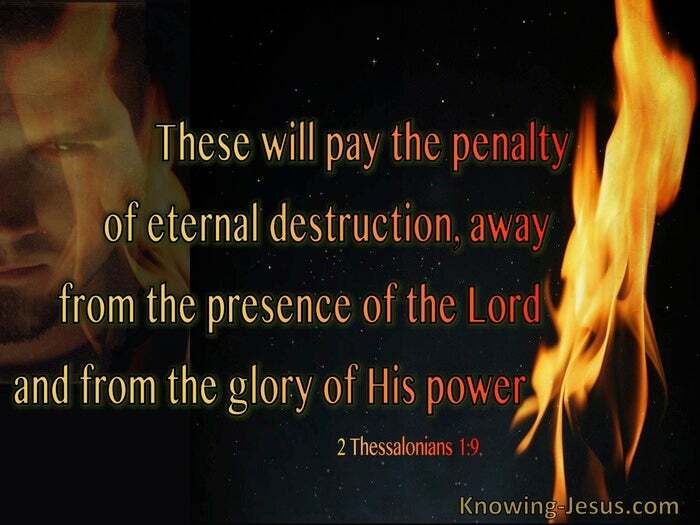 What Does 2 Thessalonians 1:9 Mean? There is no condemnation to those that are in Christ Jesus, for they have received forgiveness of sin, by faith and been declared righteous by God. There is no wrath to be poured out on those that have believed on the Lord Jesus. There is no further sacrifice for the forgiveness of their sin, for God's wrath was poured out on Christ Jesus, in our stead. However, there is no hope for those who deny the Son of God - in Whom are the redeeming words of eternal life and hope. 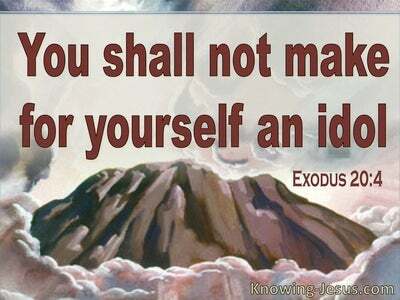 Those that exercise their free will and refuse to believe on His name, will pay the penalty of eternal destruction. They will spend eternity away from the presence of the Lord. They will be excluded from the glory of His presence. Indeed, it is a terrible thing to fall into the hands of the living God, Who gave His only begotten Son, to pay the price for the sin of the world. Those who reject and deny Him will be judged for their own imperfect works, rather than the perfect and completed work of Christ on their behalf - and their works will be found wanting. Destruction and death is the fruit of evil and eternal separation is the final destiny. 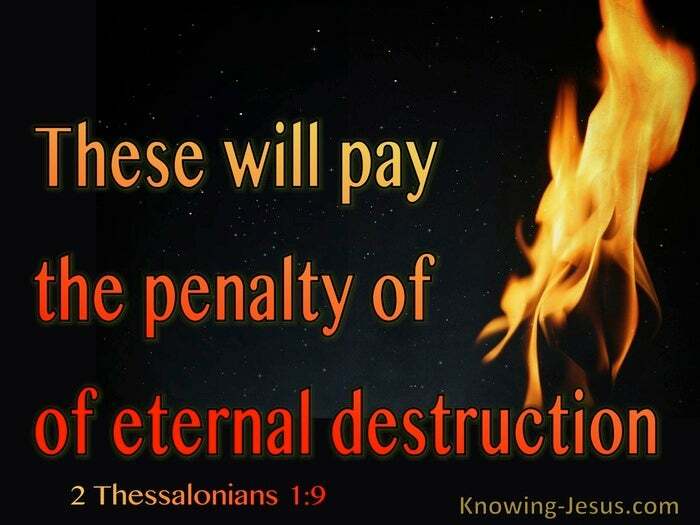 They will pay the penalty for their rejection of God's grace, in the lake of fire. Eternal and endless punishment will be their portion, which is both tragic and shocking. Death in the Bible is always depicted as a separation. 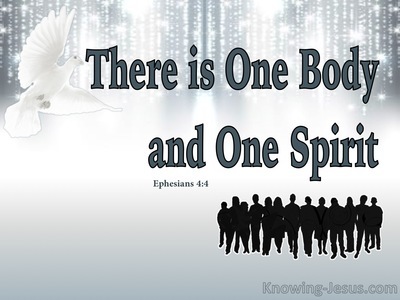 Physical death is the separation of the spirit and soul from the body.. but the spiritual death of the the unsaved person is separation from God, and is the essence of everlasting punishment. Those who rejected God's offer of salvation will reap eternal destruction, away from the presence of the Lord - they will find themselves excluded from the glory and majesty of God's mercy and love. Everlasting ruin is not, as some suggest, a temporary condition, where consciousness will eventually be annihilated, or the condemned will one day be welcomed back into the heavenly realm. It is a place of everlasting, yet just punishment, which will continue throughout eternity - for those who do not believe on the only begotten Son of God. It is a fearful thing to fall into the hands of the living God. While-ever there is life, the offer of salvation remains open, but today must be the day of salvation for the sinner, if tomorrow is not to end up in eternal destruction. 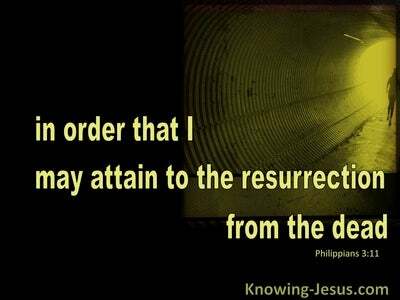 May we be ready and willing to share the good news of the Gospel of grace, with all who are dead in trespasses and sins, and under God's eternal condemnation. 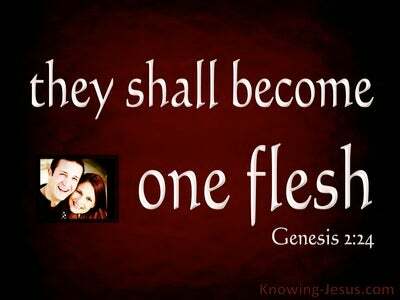 May we fulfil our calling and become ministers of reconciliation between God and man, so that some will turn from their wicked ways and trust in the Lord for the forgiveness of sin, and life everlasting.